Linda’s invitation for you to join her as a co-mentoring steward/ member of The Good of the Whole. Please schedule your private energy healing sessions for rejuvenation of body, mind, and soul. * Reiki & Sound Healing. * Distant Reiki and Chakra Alignment Sessions by phone. * Brazilian Kundalini Chakra Energization. * Guided Meditation & Chakra Balancing with Crystal Bowls / Tuning Forks. 3rd Wednesdays every other month - Women's Wisdom Circle at Insight Out Home Sanctuary. 6:30 PM - 9:30 PM All are invited. Contact Linda if you are new to the WWC. Wednesday, May 15 - Women's Wisdom Circle - Honoring All Mothers: Divine Mothers, Earth Mothers, Spiritual Mothers, Mother Earth. Weekend, May 18-19 - tentative dates- Usui Reiki Master Level Class - Contact Linda for the required Master Questionnaire. June 12-16 - 7th Annual CoCreators Convergence @ Sunrise Ranch, Loveland, CO "Voice of CoCreation - Exploring the Pathway to Truth"
Linda’s invitation for you to join her as a member of The Good of the Whole. 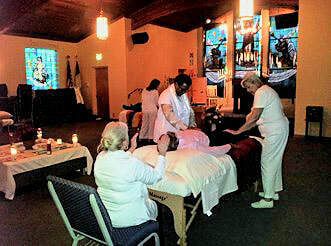 ​Please schedule your private energy healing sessions for rejuvenation of body, mind, and soul.